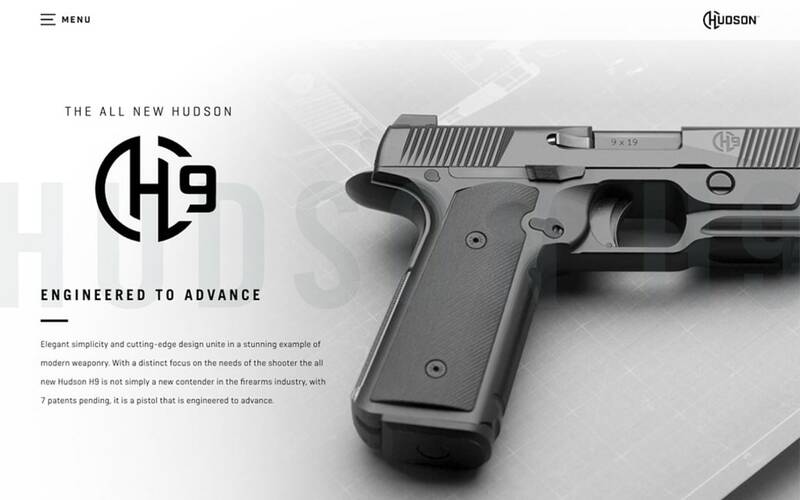 Hudson Manufacturing is a new firearms company in the handgun industry. Based out of Temple, TX, they have entered into the competitive shooting market with a real BANG! 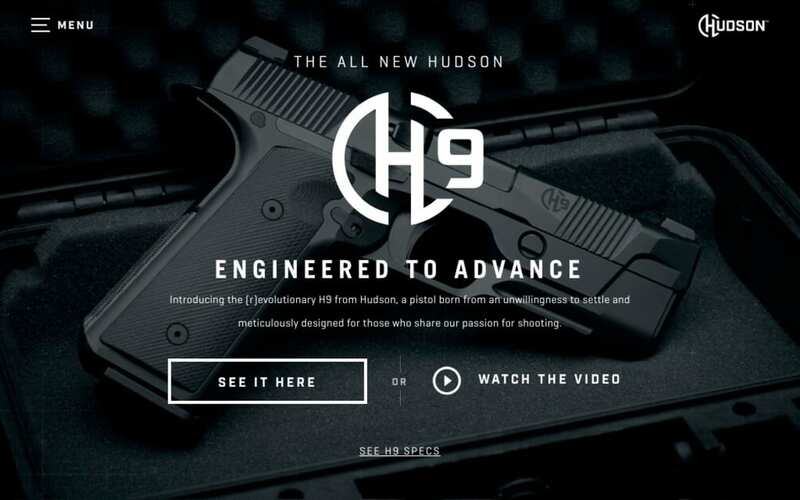 Their new H9 handgun is a pistol that is engineered to advance. Hudson needed a website that was not only engaging and intuitive for visitors but also served to highlight the technical specs and features of their product. User experience needed to be of the utmost importance while at the same time pushing the boundaries of cutting-edge branding aesthetics. Key to their marketing efforts was a website which would highlight the unique advantages of their offerings. To start, we built an interactive countdown timer for the landing page prior to the launch of their new product to build anticipation among potential customers. 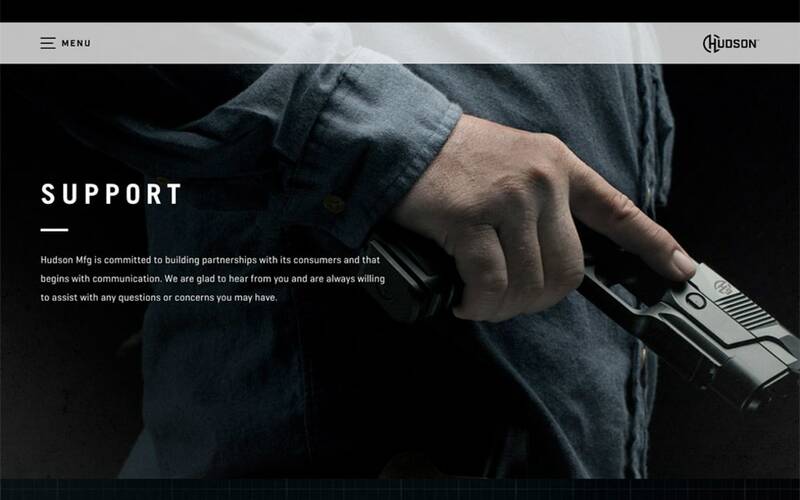 After launch, we included visual movement and web animations to illustrate benefits of their product and story. Building on WordPress gave us the ability to add highly customized areas to enhance user experience while giving the Hudson team full control over their content. As a first step, White Lion was tasked with building a microsite with a series of chapters that would “unlock” each week leading up to the product launch. A countdown timer was created for the site to let followers know when the full details of the product would be revealed and allow them to sign up for updates. As you navigate through this mobile-friendly site, standout features would most certainly be the animations. Our favorite part of building subtle interactions is they make the pages and products come to life, draw users in, and help communicate through an added dimension. 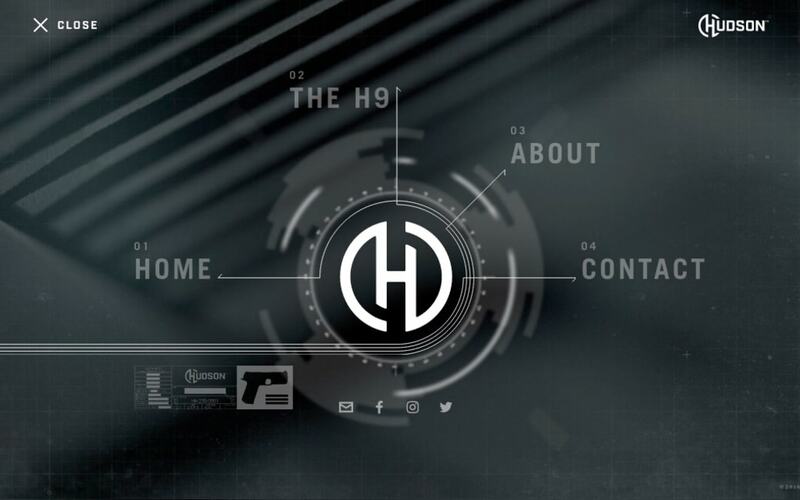 For example, when you scroll down the H9 product page the items build and move together to reinforce all work and advanced features that come together to make the H9 groundbreaking. One of the unique parts of the Hudson site is the setup of their navigation. The interactive menu enhances the brand as it swirls around the logo and was inspired by Hudson’s love of intros seen on James Bond movies. The navigation offers something interesting for the user, while simultaneously providing an experience that is fitting and appropriate for their industry. When it came time to build the full site, we chose WordPress as the content management system. This allowed the Hudson team full control over their content. It also gave us the ability to add highly customized areas without limiting what we were capable of in web development. We use a plugin called Advanced Custom Fields to allow us to build-out unique content sections on the front-end as well as the back-end editor where our clients make most of their changes. It makes updating content and images super simple. Most off-the-shelf WordPress templates can be a nightmare because they don’t match our clients’ exact needs. We worked with Pandemic Designs, who provided the look and feel as well as all the photography and design elements for the site. They were outstanding to work with and we really appreciated their attention to detail, organized delivery of assets, and ability to be flexible and nimble with any development changes. With their designs and our development chops, the end result was exactly ‘On Target’. Since rolling out their new website, the Hudsons have received overwhelmingly positive feedback. The website has been an instrumental component of establishing their brand. We are currently working with the Hudson Team on the rollout of a phase 2 site, which will include additional customer support content as well as e-commerce and dealer locator. With over 20 years of experience in web design and development we want to be your trusted guide in the digital jungle.